This new 10 day exploration takes a fresh look at some of Zimbabwe’s amazing spectacles, with diverse areas, activities and interests. Begin this adventure exploring the Matobo Hills, Rhodes’ grave and the surrounding National Park – a cultural and historic beginning. From there we head to a remote private corner of Hwange National Park – home to abundant wildlife, such as herds of sable and roan antelope, large magnificent gatherings of elephant around vital waterholes and the sound of lions roaring to fill the evening chorus. Mana Pools National Park sits on the last remaining water source to the west – the mighty Zambezi River, with an abundance of game both great and small and all the interactions of daily life that prevail. 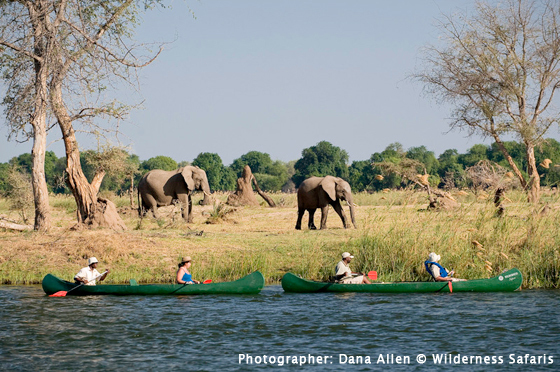 Exciting on-foot experiences allow us to ‘interact’ with Africa’s magnificent wildlife. A trip to Zimbabwe is not complete without a visit to Lake Kariba, a great way to relax and unwind at the end of an adventure… enjoy breathtaking sunsets, wildlife viewing from the water’s edge and reliving some of your memories from the last 10 days. Activities on this Exploration include game drives, nature walks, canoeing, historic outings, sunset cruises and boating adventures. Experienced, passionate and knowledgeable guides travel with guests throughout this journey. A combination of air, road and boat transfers showcase the vast landscapes of Zimbabwe.